I recently migrated a Dynamics CRM 4 implementation installed on a Windows Server 2003, 32 bit environment to a Windows Server 2008, 64 bit environment. I decided to document the process in the event that the information might be helpful. Please keep in mind that CRM environments vary and the steps you take to complete a similar migration might vary depending on the environment that you’re migrating. 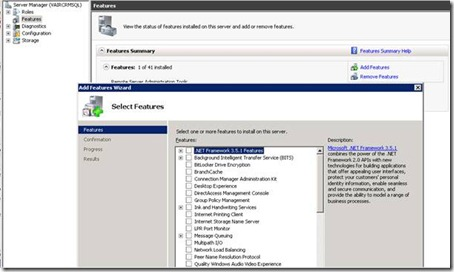 Select the option to Run as Administrator by right-clicking setupserver.exe. Ensure all Custom Code to include Plug-Ins and other customization is removed from the database. This will increase your chances of having a successful import. The current Organization database should be in a fully supported state. You can change these settings as needed after the import is completed. Backup your current Organization database and place the backup in a directory that you can access from the new CRM machine. You only need to back up the CRM Organization database, OrgName_MSCRM. Restore the OrgName_MSCRM to the new SQL Server. 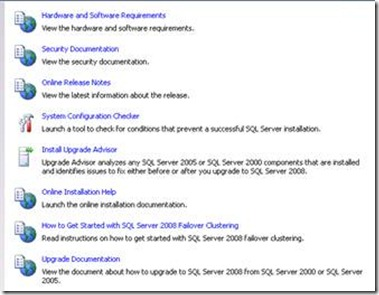 I am not going into the restore steps in this article with the exception of mentioning that you should not select to overwrite the existing database when you do the restore of select any of the other checkmarks available on the Options page. Once you have a successful Organization Import, you can come back to SQL and remove the initial (temp) database that was related to the initial CRM installation as you will no longer need it. You want to ensure both your SQL and CRM environments are working as expected. If both applications are on machine then you have only one environment to check. Walk through the Import wizard. It is fairly self explanatory. This will be your CRM Organization name so you may want to keep it the same as your existing Organization. Select Next and resolve any errors related to disabled users or users still in CRM but no longer in Active Directory. Ensure you have full rights to the CRM Directory folders. I’ve found that sometimes adding the installing user to the Administrative Group is not sufficient. In those cases, I add the CRM installing user to the CRM Directory folder by right-clicking the folder, selecting Properties, selecting the Security tab, add the user and give the user Full Control rights. Open the CRM application to ensure it is working, check the Application Log for errors, etc. This helps to ensure you are working with a stable environment.